Hi Welcome To Hindi Help 4u Aaj Ke is Tech News Me hum aapko Batane Waale hai, Mobile Soft Reset Ke baare me, Mobile Reset many type ke hote hai Hard Reset, Soft Reset, Secend Level Reset, Master Reset, Master Clear, And Factory Data Reset. Friends Aapne Mobile Hard Reset Ke baare me Suna hai Aur Phone Hard Reset aapne Kiya bhi Hoga, But Aapko Pata Nahi Hard Reset Aur Hard Reset me Bahut Different hai, But Aaj Is Post Me Hum Aapko Soft Resets Ke Baare me Batane Waale hai. Soft Reset Kya hai ? Mobile Soft Reset Jise Hum Normal Rest Bhi Kah Sakte hai, Aapko Bata Soft Reset karne se Aapke Phone ka Koi Bhi Data Delete nahi hota hai, Yadi Mobile Me Kisi Running Program Se Aapke Phone Phone me Koi Problom Aati hai to Aapko Soft Reset Kar Dena Chahiye Jisse aapki Error Problom Solve ho jaati hai. Mobile Phone Memory Formet /Delete Kaise Karen ? Soft reset Kyu Kiya Jata hai ? Soft Resets Simple Problom Solve karne ka Ek Tarika hai, Kuch Simple Problom Hone par Aapko Apna Phone Soft Resets Kar dena Chahiye Jisse Phone Issue Sahi ho jaati hai. Can not Make Callsvolume up, volume down, power, and volume down. 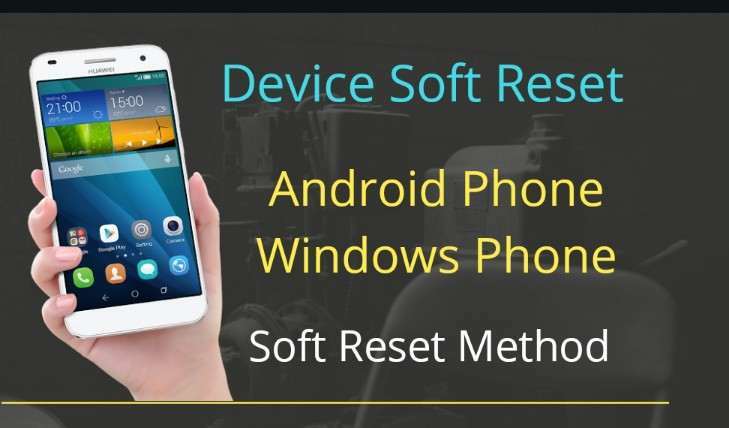 Android Phone Soft Reset Kaise Kare ? 1. First phone Right Me Diye Gaye Power Button Ko Press Karke Hold Rakhna hai, Jab tak Ki aapka Phone Off Na ho jaye. 2. Succesfully Phone Power Off Hone ke baad Ab Again Aapko Power Button Kuch Secend ke liye Press karna hai, Jab tak ki Phone Manufacture Logo Show Na Ho jaye. 1. Sabse Pahle Aapko Apna Phone Ka Volume Down Button and Power Button Ek Sath Press karke few Secend Ke liye Hold Rakhna hai. 2. Next Aapka Phone Automatically Kuch Secend ke baad Reboot Hokar Open Ho jata hai, Iska matlb Phone Succesfully Soft Reset Ho gya hai. Ok Google kya hai, Mobile phone Setup kaise kare ? Windows Phone Soft Reset Kaise Kare ? Windows Phone Soft reset Ek Simple Tarika hai, jisme aapki Apne Phone ki Battery Remove Karne ki koi jarurat Nahi hai, Kuch Simple Issue Jaise, An App That Usually Starts won’t not, the Camera Is Not open, Mobile Heating Issues, Quickly Drainag Battery, Windows Phone Soft Reset Karne ke liye Niche Diye Gaye Steps Follow karen. 1. First Aapko Windows Phone ki Volume Down Button and Power Button Ek Press karke Hold rakhna hai. 2. Ab Kuch Secend Baad Phone Vibrate Hoga, jiske Baad Screen Par Exclamation Mark (!) show Hoga, aur Phone Automatically Start Ho jayega. Note- Is Process Ko Follow karte Samay aapko Phone ki Screen Touch Nahi Karna hai. Conclusion– So Aapko Kaisi lagi Soft resets Ki Jankari, Aise hi Hindi tech Jankari Ke liye Hindi Help 4u Website visit Karte rahe hum aapko Daily New Update Share Karte Rahenge. Bhim App Electricity, DTH, Mobile, Gas, Water Bill Payment ? Gram Pradhan Work List Check कैसे करें ?